This is going to sound like such a non-recipe, but we seriously eat this salad almost every night. It is so simple, so crunchy and oh so delicious! 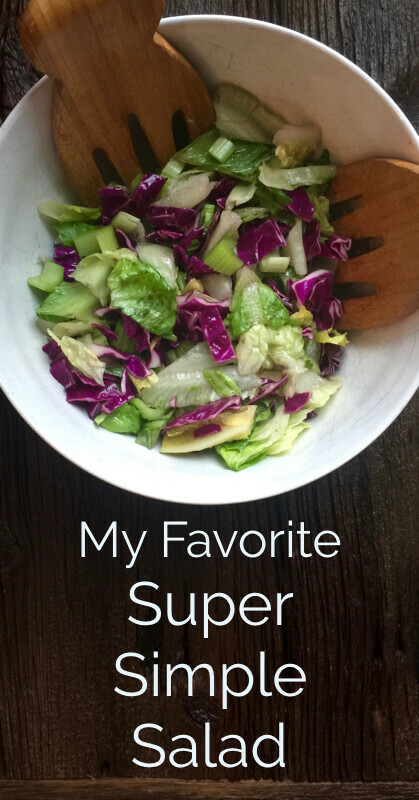 It is seriously a super simple salad. My brother, Dr. Tommy John, DC, turned us on to this salad a few years ago. He is passionate about all things healthy…real food, chiropractic care, strength training, meditation and so much more! 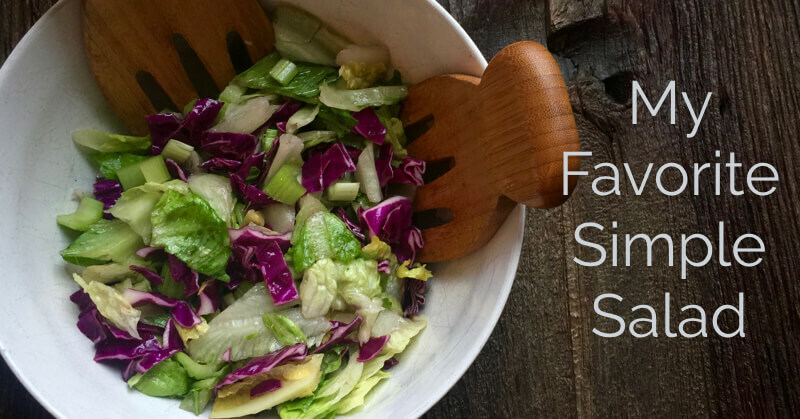 I like a variety of salads…brussels sprouts salad, beet and kohlrabi kraut, pasta salad, cucumber salad, Greek salad and so much more! But sometimes you just want a recipe that you can throw together every night super fast! This salad's beauty is in its simplicity, its flavor and its crunch! All you need is romaine lettuce, red cabbage, celery, and a hefty dose of apple cider vinegar, sea salt and pepper and olive oil. The key is in the crunchiness of the ingredients. Keep the cabbage cut chunky and the vinegar/oil mixture just gets all in the crevices of the cabbage and is a burst of flavor. And, bonus, we find this salad actually keeps well overnight to be enjoyed the next day which is unusual for salads that are already dressed. I hope y0u enjoy this as much as we do!! Add the vegetables to a bowl. The amount of each is really up to you! I like a lot of cabbage. Add acv, olive oil to taste. We like a good amount of acv. Add plenty of sea salt, pepper and toss! !